The Accent Sling Backpack is a versatile promotional sling bag that will get plenty of use out of your active, adventure-seeking clients and employees! 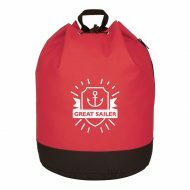 Available in several colors, this bodacious custom printed sling backpack is made from a combination of 600D polyester and 420D dobby nylon for maximum durability. It has a built-in slot for earbuds for wire-free traveling, as well as a large front zippered pocket and an outside mesh pocket. 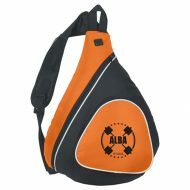 Customized with an imprint of your company logo or design to make a lasting brand impression! Order today! Multi-Color Imprint and Embroidery Available! 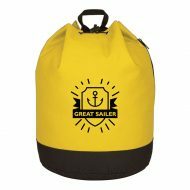 Your brand can travel the world with this custom logo Bucket Drawstring Tote Bag/Backpack! 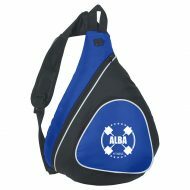 Measuring 17″ x 16 1/2″ x 12″ this bucket bag is large enough to carry a pair of shoes, clothing, towel and various tech accessories. Available in several colors (all with black trim), this classic bucket bag is made of a durable, tear-resistant, heavy-duty 600-denier polyester with PVC lining material. It features an adjustable drawstring closure, padded adjustable shoulder straps on the rear of the bag and a loop handle on top. This classic customizable bucket drawstring backpack is great for schools, colleges, universities, gyms, marinas, and more! Order today!